The rich sounds of alt-country, bluegrass, roots rock and folk rock are alive and celebrated across a crop of wonderful new Americana-minded releases available now. Tell me more: When Johnny Cash and June Carter Cash both passed away in 2003, their son John Carter Cash discovered the couple had left behind a "monstrous amassment" of things including a slew of his father's handwritten letters, original poems and other things he had penned during his life. Several years ago John Carter Cash approached a diverse and wide-range of artists with an invitation that they each use their own artistic voice to set some of those writings to new music; the result is the enthralling 16-track Johnny Cash: Forever Words. Recorded primarily at the fabled Cash Cabin in Hendersonville, TN and produced by John Carter Cash and Steve Berkowitz, this is a collection whose material is as rich as Johnny Cash's resonant baritone. The range of the material spans seemingly every corner of classic and contemporary country and Americana styles. The opening track ("Forever/I Still Miss Someone") sets the tone for the ambitious collection, with Kris Kristofferson's sonorous spoken word style delivering the last poem Cash ever wrote against the backdrop of Willie Nelson's distinctive acoustic guitar playing. Then there are real-life newlyweds Ruston Kelly & Kacey Musgraves joining forces on the tender "To June This Morning" (the lyrics are taken from an actual letter Johnny Cash wrote to his wife, June Carter Cash), Brad Paisley providing a decidedly modern-day touch to "Gold All Over The Ground," and emotional contributions from Johnny Cash's daughters Rosanne Cash ("The Walking Wounded") and Carlene Carter ("June's Sundown"). Other terrific songs are delivered by the late Chris Cornell (the chilling "You Never Knew My Mind," one of his final solo recordings), John Mellencamp (the playful country blues romp "Them Double Blues"), Elvis Costello (the Ron Sexsmith-styled "I'll Still Love You"), Dailey & Vincent (the bluegrass gospel gem "He Bore It All") and the Jayhawks (the gorgeous "What Would I Dreamer Do?"). To be sure, every track on this essential set is deserving of recognition. 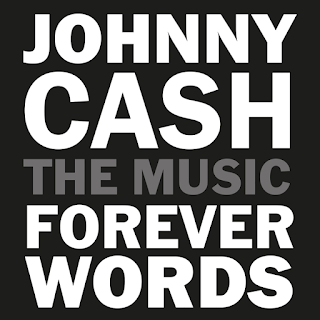 Johnny Cash: Forever Words is available on audio CD, 2LP vinyl and digital formats. Information: LegacyRecordings.com. 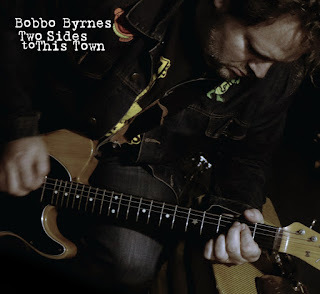 Tell me more: As a member of the Fallen Stars and with his recent solo recordings, singer-songwriter/multi-insturmentalist Bobbo Byrnes has been among the leaders of Southern California's thriving Americana music scene. On his newly-issued solo album Two Sides to This Town, Byrnes has captured America's broken spirit with the kind of assurance and authenticity that marks Bruce Springsteen's early work. Don't believe it? Just listen to the rousing opener "Angelia" (a song Byrnes penned after a visit to the town where he grew up only to realize it didn't feel like home anymore), a nuanced and graceful cover of Tracy Huffman's "Glad" and the melancholy-drenched "Dam." The reminiscent "Massachusetts" teams Byrnes' vocals with those of his wife Tracy Byrnes (whose graceful bass guitar work is key element on the disc). "Welfare Cadillac" is bolstered by Danny Ott's guitar solo positioned as a call-and-response with a fluid horn section; the driving "Vegas" is a solid roots rocker that captures the ethos of those who take the long drive to Sin City in hopes of winning a fortune even while losing themselves in the process; Byrnes' dazzling lead guitar work on the track is a bonus. While Byrnes has his own strong artistic voice (which includes his stellar skills on guitar, mandolin and keyboards), his songs and passion will appeal to fans of Springsteen, Ryan Adams, Dawes and John Mellencamp. That is some good company to be sure. Information: BobboByrnes.com. Tell me more: Although country music icon Don Gibson is best known for early hits he scored in the late 1950s and throughout the 1960s (including "Sweet Dreams," "I Can't Stop Loving You," "Oh Lonesome Me," "Just One Time" and "Sea of Heartbreak"), the North Carolina native enjoyed a bona fide renaissance extending throughout the 1970s. 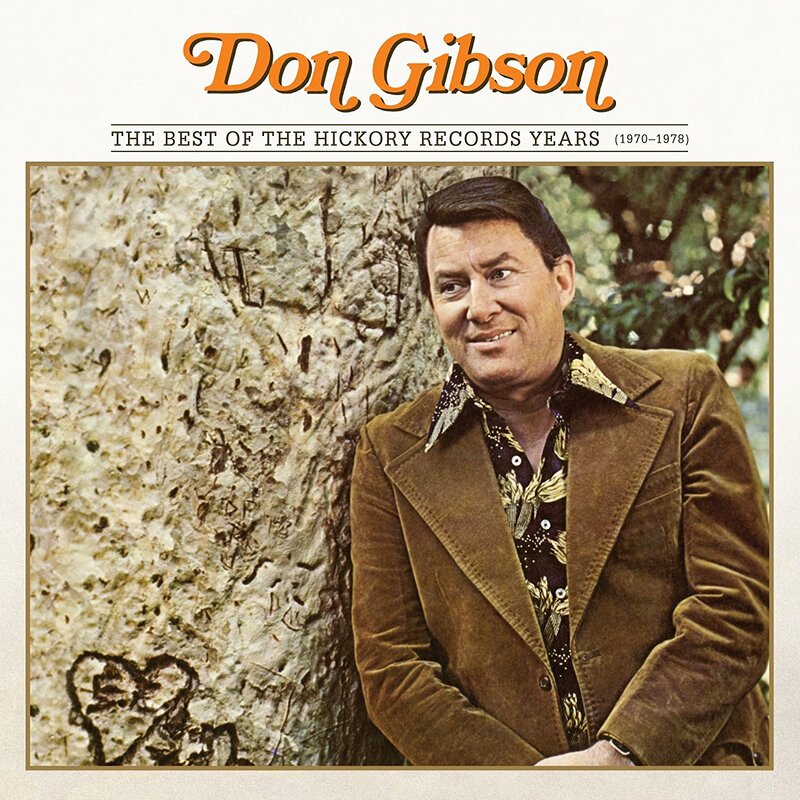 The newly-released The Best of the Hickory Records Years (1970-1978) features more than two dozen tracks pulled from his successful second act. Remastered by multiple Grammy-winning engineer Michael Graves, the parade of country hits and deep tracks has never sounded better. 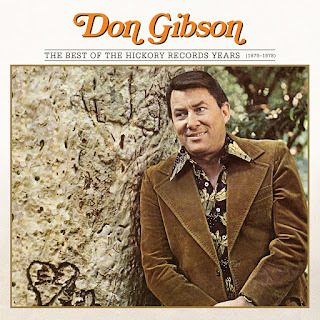 The material includes Gibson's 1972 number one hit "Woman (Sensuous Woman)," a mix of uptempo and breezy originals ("Don't Take All Your Loving," "Far Far Away," "Is This The Best I'm Gonna Feel," "I'm All Wrapped Up In You"), sweet ballads ("Pretending Everyday," "If You're Goin' Girl," "What's Happened To Me") and accessible covers ("Games People Play," "A Perfect Mountain," "Touch The Morning") all showcasing Gibson's skills as one of the genre's best-ever vocalists. The release comes with a fully-illustrated booklet filled with color images and informative liner notes on the tracks. Information: OmnivoreRecordings.com. 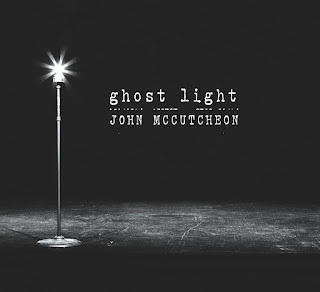 Tell me more: The traditional sounds of Appalachia resound first, but John McCutcheon's literate and tuneful songwriting clearly elevate the Wisconsin native's 39th album Ghost Light. Armed with a warm and reassuring baritone, McCutcheon delivers a wide range of tales that come alive in song. The Celtic-flavored "She Just Dances" recounts the magical moment when his granddaughter first discovered the thrill of dancing; the country-infused folk rocker "Big Day" celebrates life in a small town; the title track is a beautiful baroque folk song that will have even deeper connections with those who work behind-the-scenes to pull off live concert performances. The musicianship across the disc is first-rate, and the arrangements tap into classic stylings with authenticity and grace. Guests include Stuart Duncan (fiddle), and vocalists Kathy Mattea and Tim O'Brien. Information: folkmusic.com. A great album Bobbo! Keep 'em coming!